Innovative Hair Designs Inc. by Marie Venter » What's a DevaCurl Haircut ? DEFINITION: Deva Curl Cut is a hair cutting technique where each curl is cut individually and normally at an angle so as to not disrupt the curl pattern. 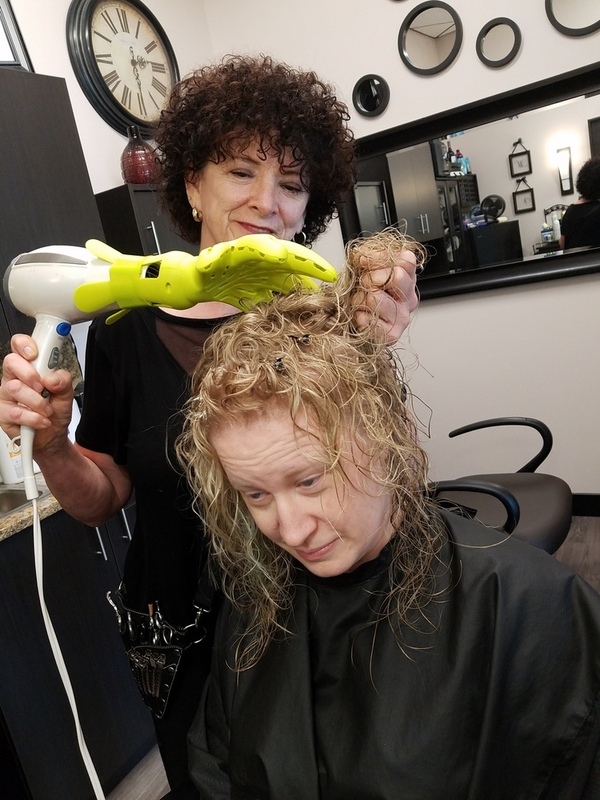 Marie always cuts curly hair when it’s dry You need to know the curvature of the curl in its natural state,” Marie says. A: Both cuts are done on dry hair. 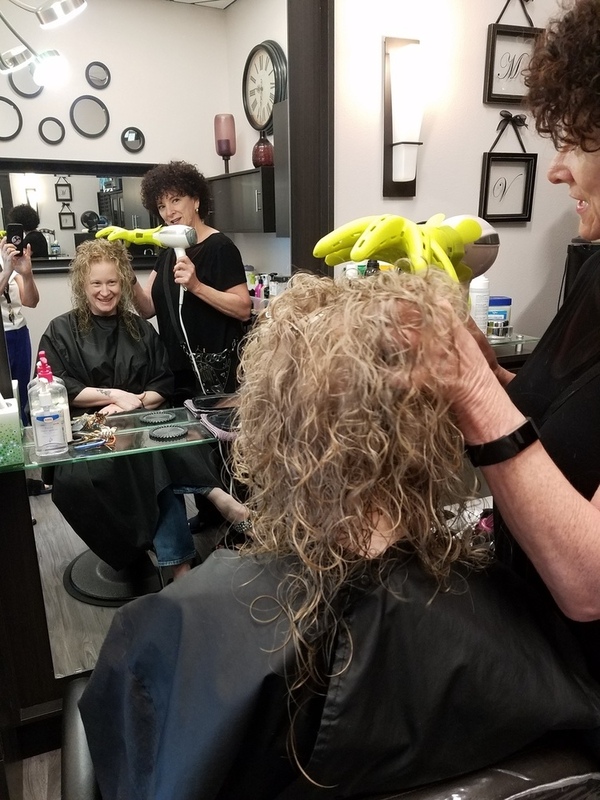 An apprentice does a Curly Cut, and Marie who has had Deva training, and is, therefore, Deva Inspired, and does a Deva Cut. A: Yes, if you do occasionally wear your curls straight, let Marie know, and she will make the correct adjustments in terms of technique and product recommendations. A: No, the focus of our salon is to serve the needs of the client, always. If you are most comfortable, wearing your curls straightened or smoothed, Marie will be happy to accommodate that. And if you ever decide to try a natural curl/wave, She will be happy to work with that as well. At the end of the day, it is about your comfort, satisfaction, and happiness.